President Donald J. Trump signed an Executive Order on Friday banning Americans from dealing in Venezuelan government debt or that of its state-run oil company. The move is expected to further cripple the ability of Venezuelan socialist elites to maintain lavish lifestyles while most of the populace suffers from the near-complete collapse of the economy under socialist dictator Nicolás Maduro. The statement claimed that the new order would not harm the Venezuelan people. Banks with pre-existing bonds – including Goldman Sachs, which bought $2.8 billion in Venezuelan bonds this year – will not be directly affected. However, the executive order prohibits the issuing of new bonds. This action follows Vice President Mike Pence addressing a crowd of Venezuelans and Venezuelan-Americans at a church in Doral, South Florida this week, promising the Trump administration would act against the regime. “We hear you, we stand with you. We will not stand by as Venezuela crumbles,” he added. Following Maduro’s decision to create an illegal alternate legislature known as the “national constituent assembly” (ANC) designed to consolidate his authority, the Trump administration placed personal sanctions on Maduro and 13 senior Venezuelan officials on grounds of human rights abuses, corruption, and undermining democracy. The crisis in Venezuela has now reached a breaking point, with millions of people living in abject poverty as a result of skyrocketing rates of inflation that have left the country with chronic shortages of food, medicine, electricity, and sanitary products. 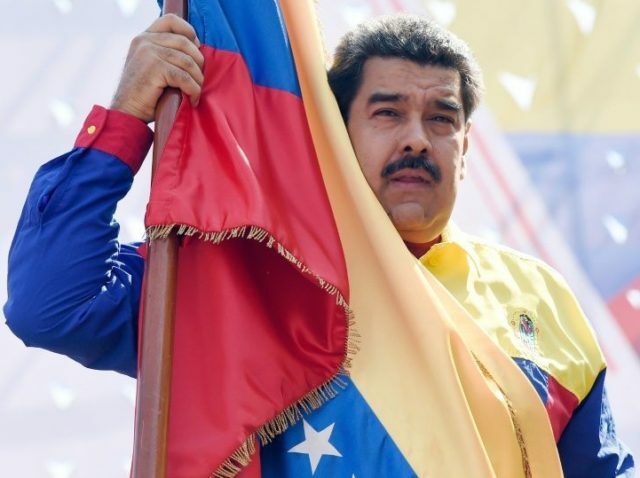 “The United States reiterates our call that Venezuela restore democracy, hold free and fair elections, release all political prisoners immediately and unconditionally, and end the repression of the Venezuelan people. We continue to stand with the people of Venezuela during these trying times,” the White House added. This month, President Trump did not dismiss the possibility of military action on Venezuela.